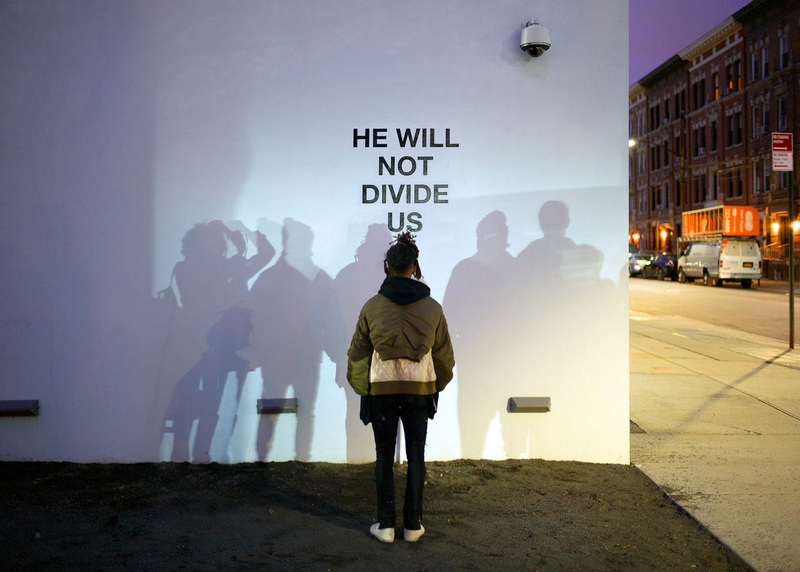 Commencing at 9am on January 20, 2017, the day of the inauguration of the 45th President of the United States, the public was invited to deliver the words "HE WILL NOT DIVIDE US" into a camera mounted on a wall outside the Museum of the Moving Image, New York, repeating the phrase as many times, and for as long as they wish. 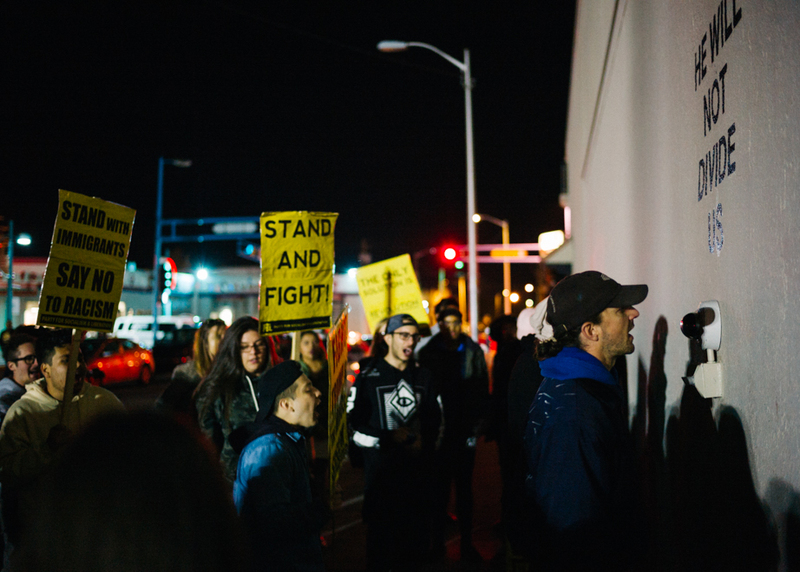 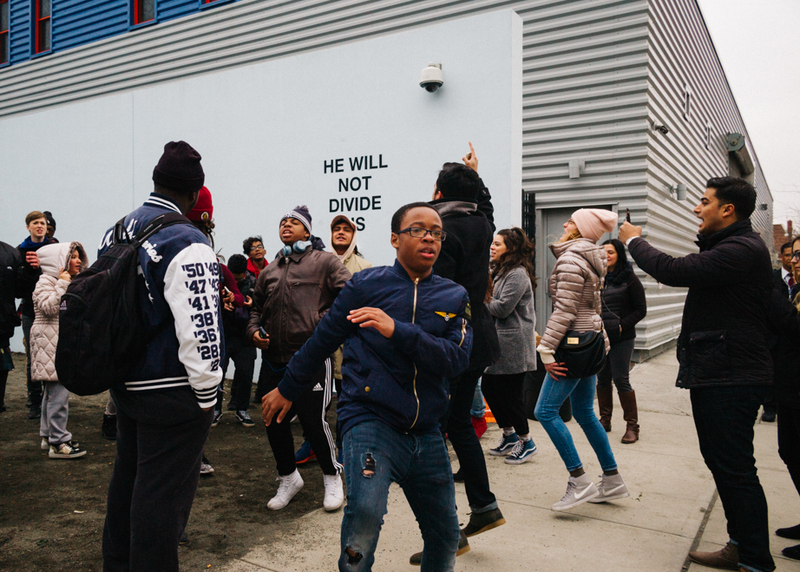 Open to all, 24 hours a day, seven days a week, the participatory performance would be live-streamed at www.hewillnotdivide.us continuously for four years, or the duration of the presidency. 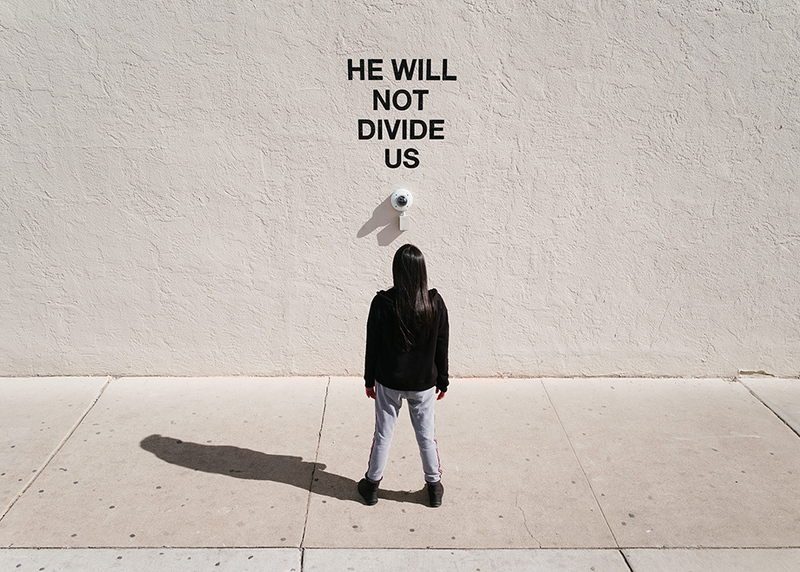 In this way, the mantra "HE WILL NOT DIVIDE US" acts as a show of resistance or insistence, opposition or optimism, guided by the spirit of each individual participant and the community. 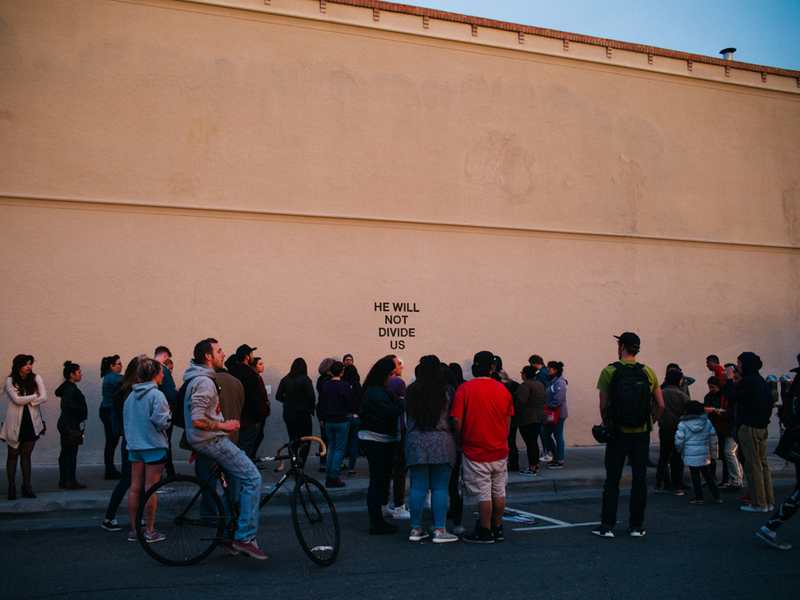 On March 8, 2017, the project moved to an unknown location. 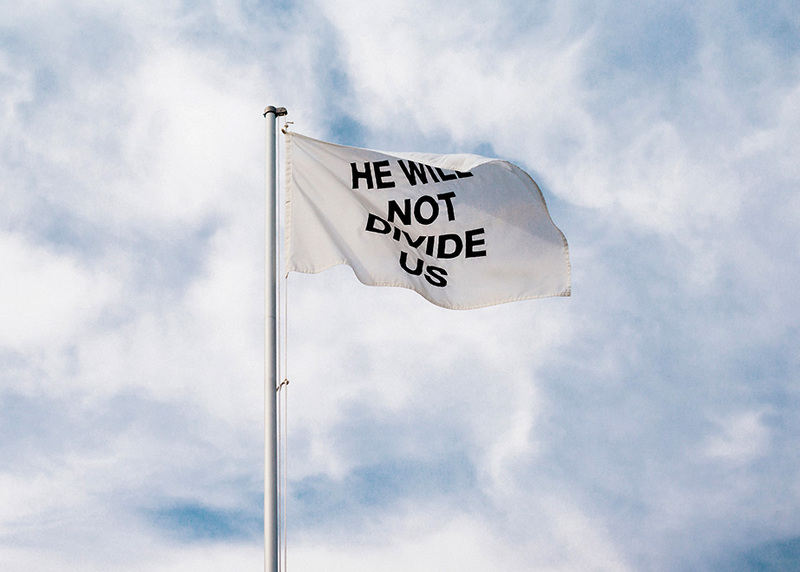 A flag emblazoned with the words "HE WILL NOT DIVIDE US" will be flown for the duration. 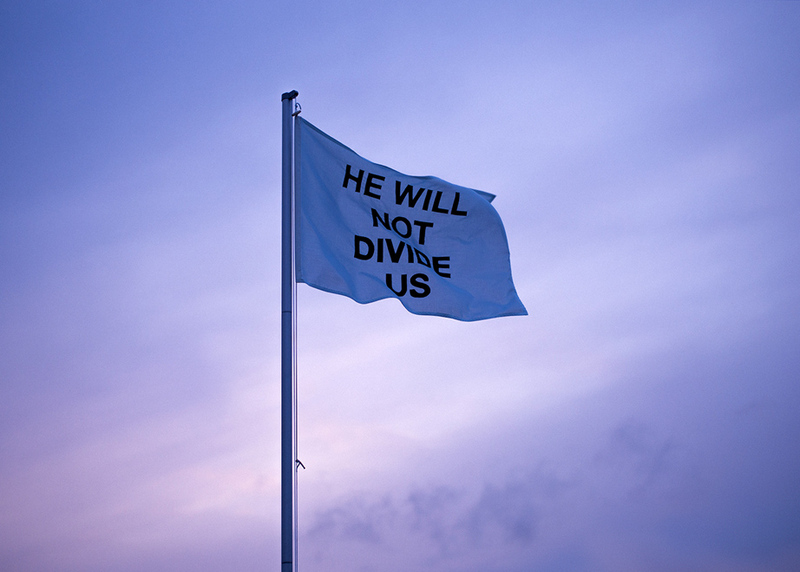 On March 22, 2017, the Foundation for Art and Creative Technology, Liverpool, adopted the project. 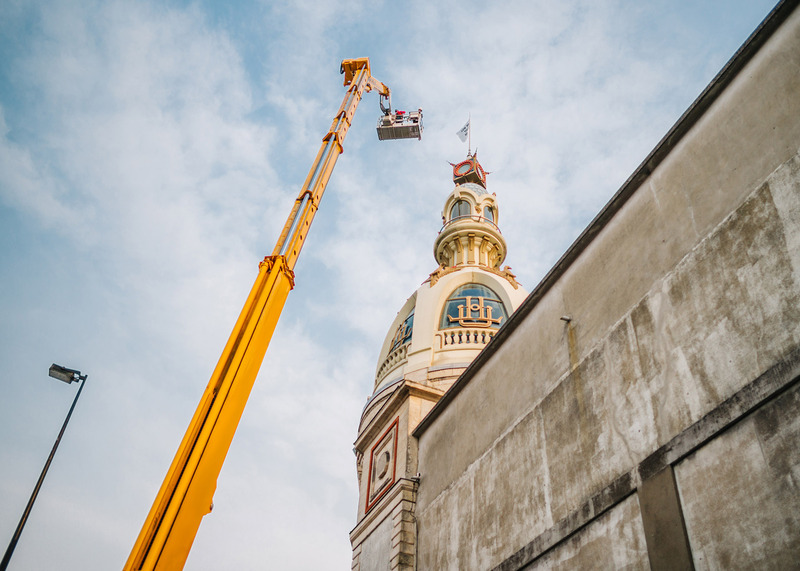 On October 16, 2017, le lieu unique, Nantes, adopted the project. 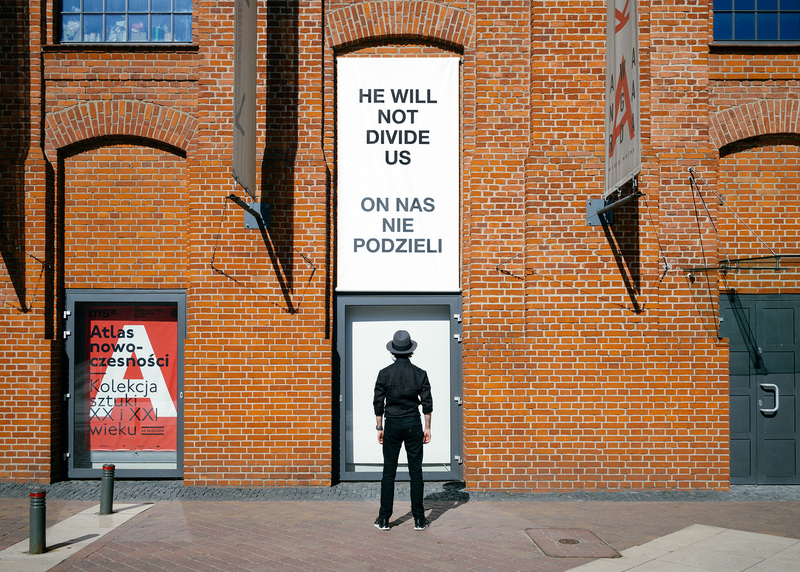 On June 8, 2018, the work was installed at Muzeum Sztuki, Łódź for the exhibition 'Peer-to-Peer. 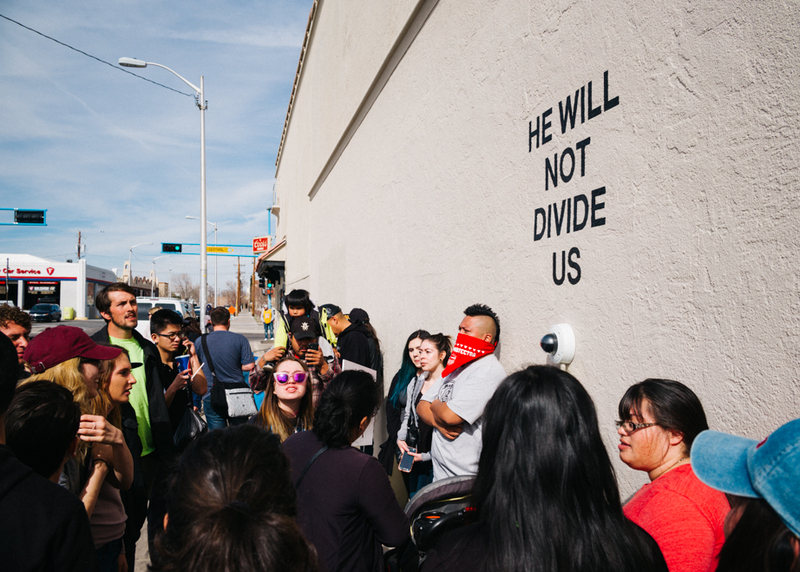 Collective Practices in New Art'.